What is handmade? What does it mean? Something that is handmade, is an object that has been lovingly designed and created by hand, using huge amounts of patience, skill, experimentation, determination and thoughtfulness to get it just right. Handmade is trial and error, and takes time to perfect beautiful finished results. When buying handmade, you are not just paying for the materials and time taken to make the item. You are also paying for all of the love and effort that goes into it. You are not just buying an object, you are receiving a small part of the makers heart. You are supporting an opportunity for them to be encouraged to make more. The last point on my list was quite a strong one. Different. To me, handmade vs. mass produced is what makes my buying experience different. 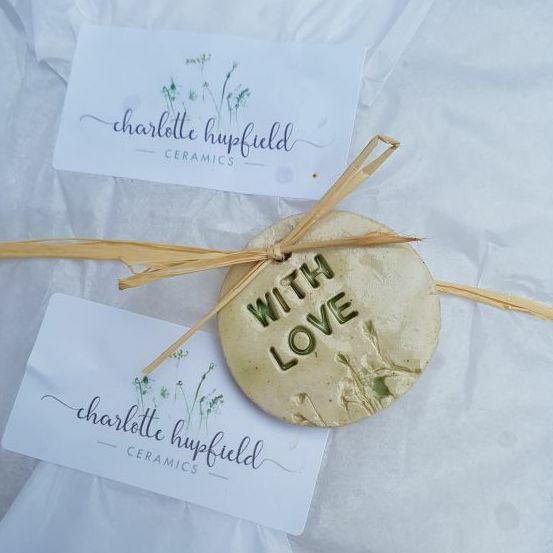 If you are buying a gift for someone, or even just a treat for yourself, I think the whole buying handmade experience makes a customer feel a lot more special. Let’s look at the difference between a mass produced tea towel bought from a supermarket that was manufactured in China, compared to a handmade tea towel by a local designer/maker. The supermarket tea towel will come as it is on the shelf, and end up creased underneath some of your groceries in a carrier bag. There will be thousands of the same tea towel in hundreds of the same supermarkets all over the country. 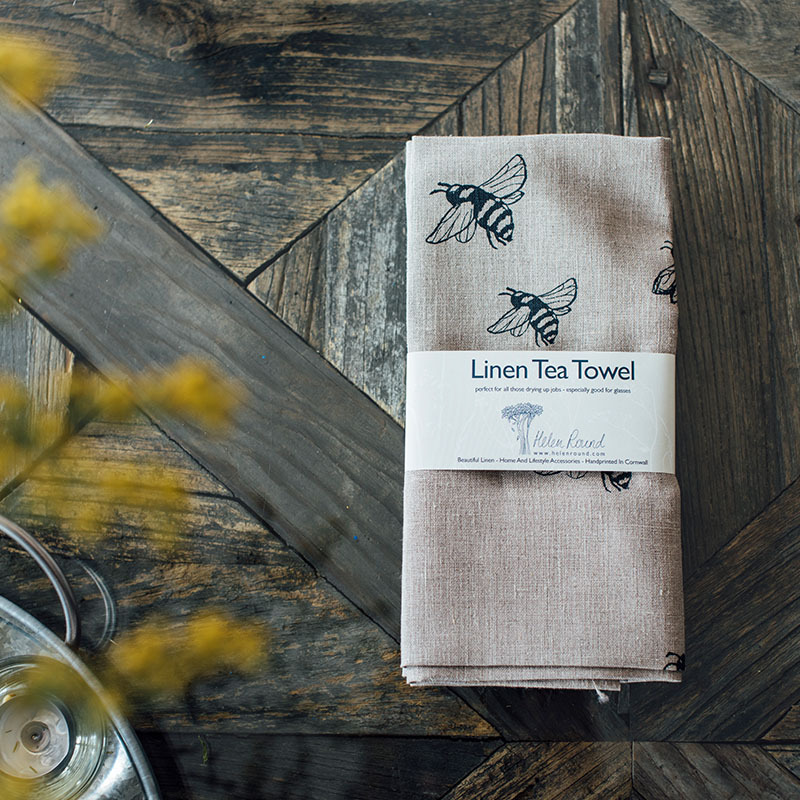 In comparison, buying an individually handmade tea towel from a textile designer will most likely be made from locally sourced fabric, presented to you ironed and neatly folded inside a beautiful gift box or some nice tissue/brown paper, with a handmade tag, perhaps some washing/care instructions, and a personalised thank you message from the maker. 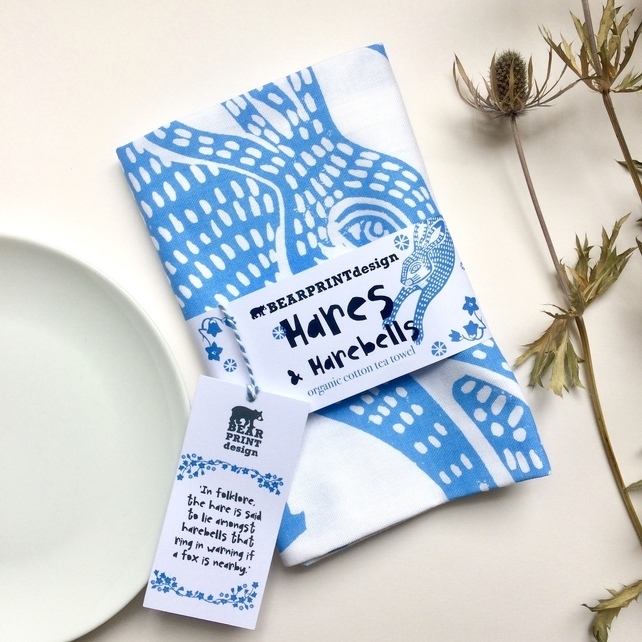 In most cases, the maker will also be able to personalise the tea towel with any specific wording or designs to make it bespoke to your requirements. I know which I would prefer, especially if giving as a gift. For me, learning about the story behind a handmade piece makes me want to buy it so much more. As a maker myself, I find that telling a story about why and how something is made definitely has more of an impact with my customers. For example, when selling my work face to face at events, I might explain to customers that I use real flowers to impress the natural floral textures into my work. I often see a lot of surprised faces when I tell them this. 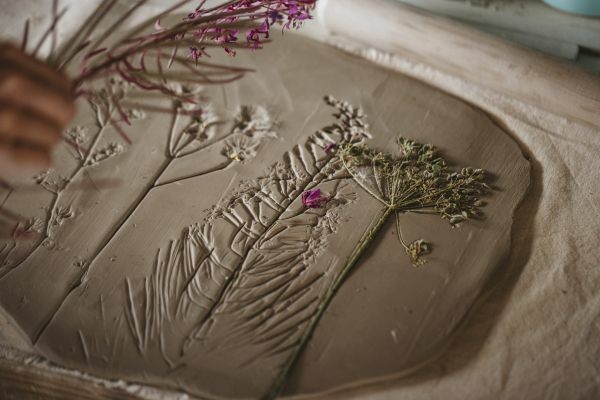 It might be obvious that the impressions in the clay are created from real flowers to me, but by explaining this I have realised that it is not so obvious to others. I will then go on to say that I pick the wild flowers locally from hedgerows, and how the availability of wild flowers change as each season progresses. This is the beauty of incorporating nature with my work. I find that telling this ‘story’ has a ‘wow’ effect, and once the audience understand how the work is created, they really appreciate it and in turn, are more likely to buy. A handmade item cannot be duplicated. Many handmade items are one-offs which means no two are ever the same. They will have unique differences which make them special. Handmade items usually have a meaning or are inspired by a particular theme, relating to the person who made it. They tell a story, and have a reason. 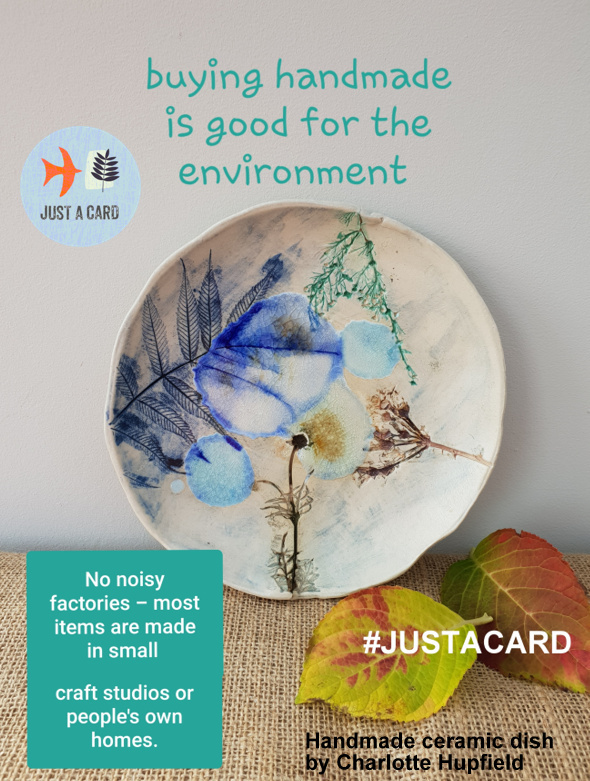 There are no noisy factories polluting the environment in large production facilities when handmade items are made. Most items are made in small craft studios or peoples own homes. Recycled packaging is often used wherever possible when handmade items are supplied. When you are buying handmade, you are supporting a local community. Handmade items are not made in the same way as mass produced goods, and we shouldn’t view them in the same way when we buy them. Handmade items are better quality and last longer. You would think twice before throwing away a handmade item. Handmade is forever, not just for now! I know how it feels to make a sale (whether big or small), and do a happy dance! As Patricia Van Den Akker from The Design Trust always says – people buy from people they know, like and trust. This Christmas… buy local, buy handmade, buy from someone you know, buy from self-employed small businesses. Remember, the big stores don’t do a little jig when they make a sale. Make someone jig this year!